Do you have an innovative idea to help solve a health issue affecting moms and kids today? Here’s your chance to make it happen! The Maternal and Child Health Bureau (MCHB), part of the U.S. Health Resources and Services Administration (HRSA), invites you to participate in our four prize-awarded Challenges with a total prize purse of $1.5 million. These competitions seek low-cost, scalable, innovative solutions that improve the health of mothers and children across the U.S. The goal of the Patient Matching Algorithm Challenge is to bring about greater transparency and data on the performance of existing patient matching algorithms, spur the adoption of performance metrics for patient data matching algorithm vendors, and positively impact other aspects of patient matching such as deduplication and linking to clinical data. 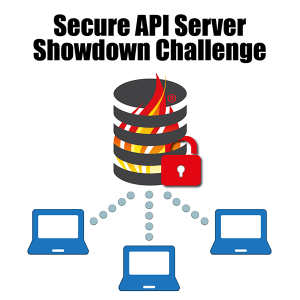 Participants will be provided a data set and will have their answers evaluated and scored against a master key. Up to 6 cash prizes will be awarded with a total purse of up to $75,000.00. The Patient Matching Challenge closes on September 12, 2017. As the movement of health information increases among consumers and providers, so does the need to track data provenance with each information update and/or exchange event. 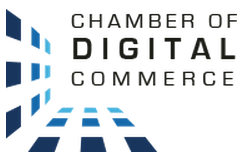 The Office of the National Coordinator for Health Information Technology (ONC), in collaboration with the Chamber of Digital Commerce announces a health standards and data innovation Code-a-Thon. 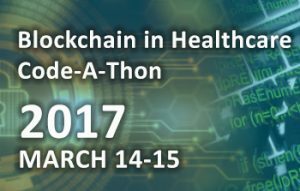 The “Use of Blockchain in Health IT and Health-related Research” Ideation Challenge solicits white papers on the topic of Blockchain Technology and the potential use in Health IT to address privacy, security, and scalability challenges of managing electronic health record and resources. Up to 15 winners will be awarded a cash prize and up to 8 winners may be invited to present their papers at an upcoming industry-wide workshop co-hosted with the National Institute of Standards and Technology (NIST), September 26-27, 2016, at the NIST headquarters in Gaithersburg, MD. Create interactive data visualization tools using newly-released CMS provider data that supports consumers making value-based decisions! Investments in digital health have never been higher. Encouraged by the increasingly favorable changes being made to health policy in the U.S., many entrepreneurs have answered the call to action to solve problems related to health care delivery and access, disease management, and cost reduction. Thank you for your interest in the EHR Innovations for Improving Hypertension Webinar that took place on August 5, 2014. To listen and view the webinar please visit the Learn More section by clicking the button below. 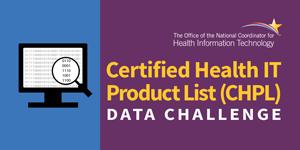 The Office of the National Coordinator for Health IT is awarding prizes for the creation of the best online notice of privacy practices that is readable and understandable by patients! 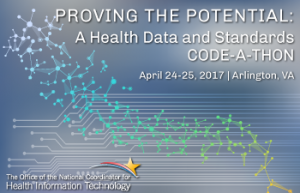 The Office of the National Coordinator for Health IT and Treehouse Health are excited to collaborate on the Medication Management Code-a-thon, taking place at Treehouse Health from Friday, October 24 to Sunday, October 26. 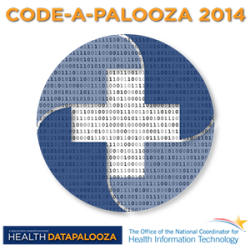 This highly interactive event is an opportunity for developers, patients, and providers to work together to generate new ideas and code while learning about initiatives like openFDA and the National Library of Medicine’s Pillbox.